The plastid phosphate translocators evolved in algae but diversified into several groups, which adopted different physiological functions by extensive gene duplications and losses in Streptophyta. The plastid phosphate translocators (pPT) are a family of transporters involved in the exchange of metabolites and inorganic phosphate between stroma and cytosol. Based on their substrate specificities, they were divided into four subfamilies named TPT, PPT, GPT and XPT. To analyse the occurrence of these transporters in different algae and land plant species, we identified 652 pPT genes in 101 sequenced genomes for phylogenetic analysis. The first three subfamilies are found in all species and evolved before the split of red and green algae while the XPTs were derived from the duplication of a GPT gene at the base of Streptophyta. The analysis of the intron–exon structures of the pPTs corroborated these findings. While the number and positions of introns are conserved within each subfamily, they differ between the subfamilies suggesting an insertion of the introns shortly after the three subfamilies evolved. During angiosperm evolution, the subfamilies further split into different groups (TPT1-2, PPT1-3, GPT1-6). 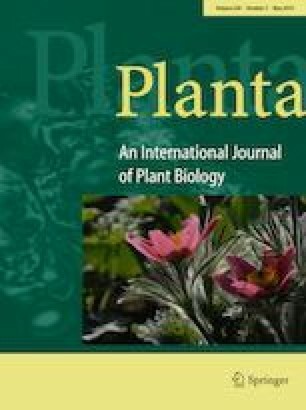 Angiosperm species differ significantly in the total number of pPTs, with many species having only a few, while several plants, especially crops, have a higher number, pointing to the importance of these transporters for improved source–sink strength and yield. The differences in the number of pPTs can be explained by several small-scale gene duplications and losses in plant families or single species, but also by whole genome duplications, for example, in grasses. This work could be the basis for a comprehensive analysis of the molecular and physiological functions of this important family of transporters. The online version of this article ( https://doi.org/10.1007/s00425-019-03161-y) contains supplementary material, which is available to authorized users. We thank Toni I. Gossmann for helpful comments on this manuscript. The computations were performed on resources provided by UNINETT Sigma2—the National Infrastructure for High Performance Computing and Data Storage in Norway.